Be the first to share your favorite memory, photo or story of Apolonio. This memorial page is dedicated for family, friends and future generations to celebrate the life of their loved one. Apolonio Portillo Ortiz, age 61, Carthage, MO, passed away Friday evening, February 1, 2019 at Mercy Hospital, Joplin, MO, surrounded by family. Apolonio was born April 10, 1957 in La Libertad, El Salvador to the late Julian Portillo and Ermenegilda Ortiz. He owned and operated Pollo Air in Carthage, MO. Survivors include his life partner, Maria Cruz Gonzalez, Carthage, MO; one daughter, Diana Portillo (Rodolfo Manjarrez), Carthage, MO; and one son, Angel Julian Portillo. Memorial services will be held 12 pm, Sunday, February 10, 2019 at Grace Episcopal Church, Carthage. Fr. Jose Palma will officiate. Inurnment will follow at the Grace Church Columbarium. 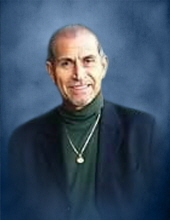 Online condolences may be expressed through www.knellmortuary.com. Arrangements are under the direction and personal care of Knell Mortuary. To send flowers or a remembrance gift to the family of Apolonio Portillo, please visit our Tribute Store. "Email Address" would like to share the life celebration of Apolonio Portillo. Click on the "link" to go to share a favorite memory or leave a condolence message for the family.